ceft and company was established in 2003. it was created to fill a gap in the industry and offer what until then was simply unavailable. from its start, the agency focused on communication and not mediums. their projects have spanned many genres such as: strategy & positioning, product & packaging design, television, digital & social media, event & store design, advertising campaigns & identity, as well as content creation. 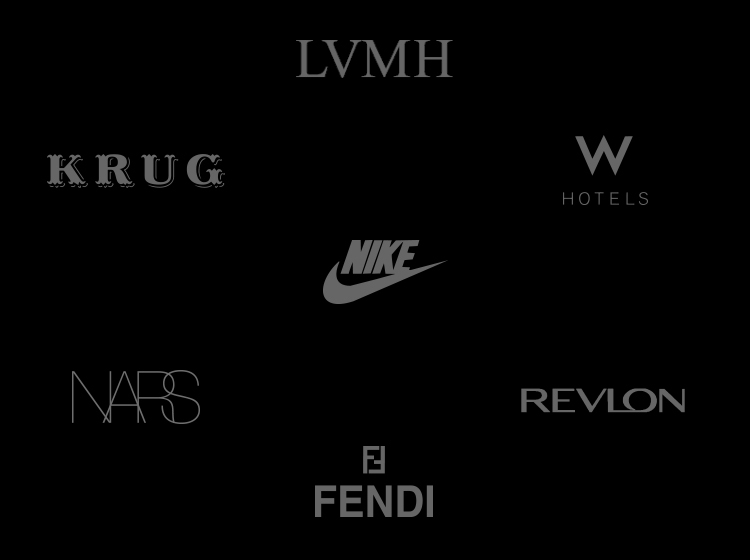 the new york based agency opened its doors with moet & chandon as its first client, and has since been working with a selective multinational client base including LVMH, nike, estee lauder, net-a-porter, revlon, pepsi, and l’oreal. the word-of-mouth reputation for its strategic work combined with immaculate execution has won the agency numerous international awards, from effies (for effective work) to various accolades from the monaco world luxury awards (awarded for the highest standards of execution). ceft and company new york collaborated with net-a-porter, fashions premier e-commerce destination, to celebrate the 1 year anniversary of their beauty division. the agency worked with key clients to create, design, and produce an interactive and on-brand environment that entertained, educated, and encouraged conversations in the press and on social media channels. 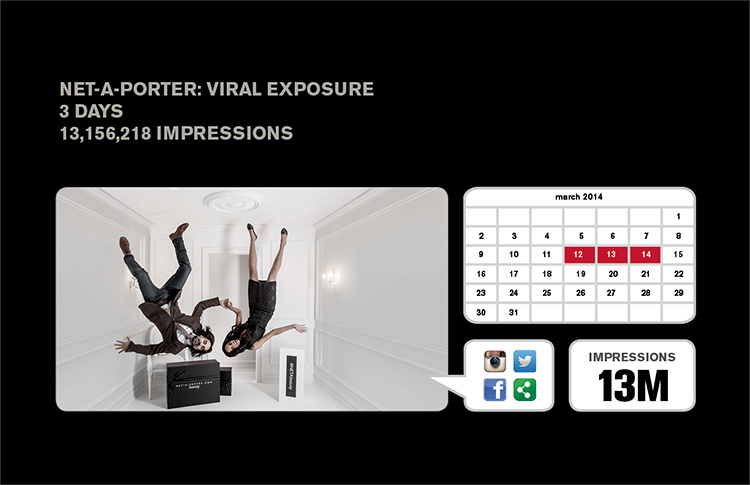 net-a-porter beauty 1 year anniversary event reached 13 million impressions in just 3 days. ceft and company new york was engaged by pepsi to create an influencer event for pepsi’s g-series pro in new york for a select 75 guests; including those from the press elite, bloggers, and the world of professional sports. the agency turned georgio deluca’s (of dean & deluca) penthouse apartment into a pro-athlete’s dream pad, showcasing how for a pro, sports and life are inseparable. 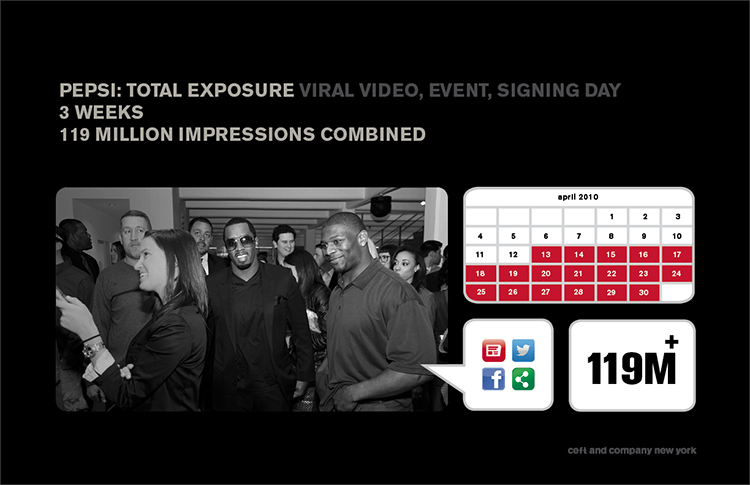 the launch event for pepsi’s g-series pro gained 119 million impression within 3 weeks. 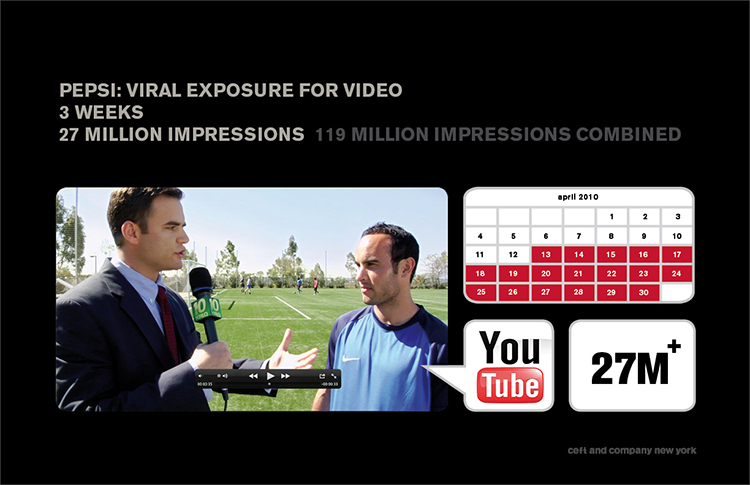 the viral video to promote pepsi’s g-series pro contributed over 27 million impressions. ceft and company new york’s collaboration with white house black market, a fashion retailer, aimed to broaden the brands’ stature. 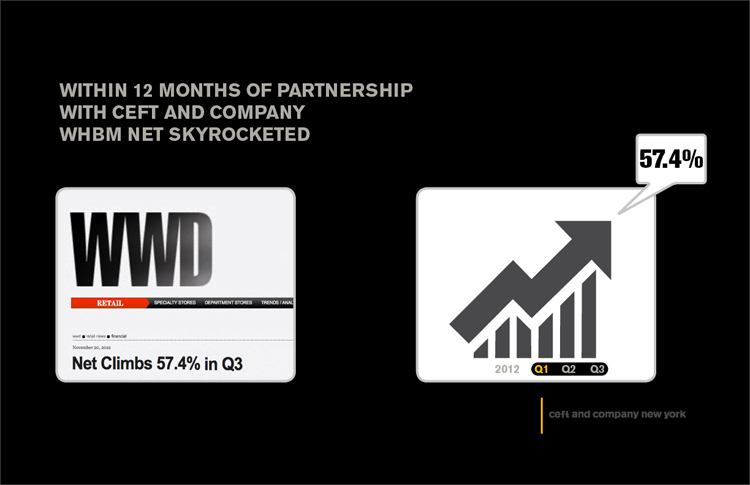 while not all success can be attributed to communication, consequently company stocks in Q3 climbed 57.4% within 12 months of partnership. 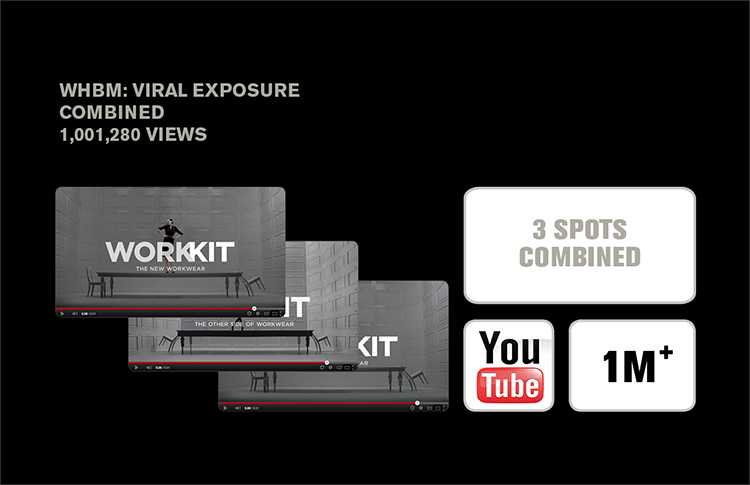 the agency produced a series of television spots over a span of 15 months. within one week, the premier spot received 270,000 views on youtube alone and produced more web traffic in two weeks than all previous efforts combined. 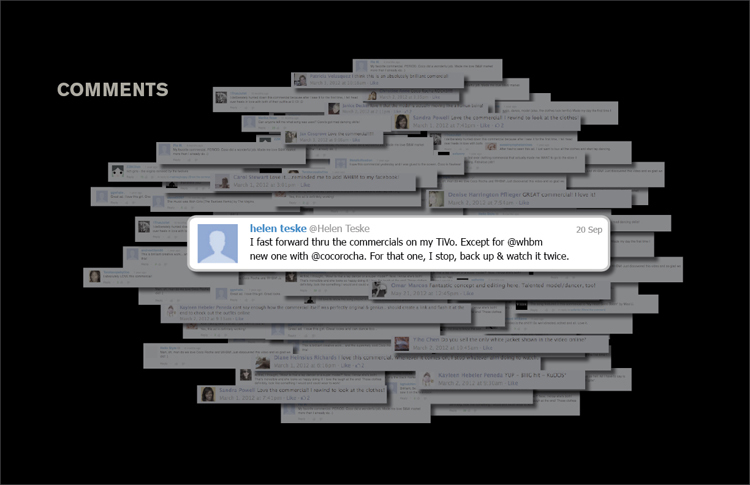 if interested, we encourage you to view the post showing some unprompted comments and discussions about the work from consumers on facebook, youtube and other social media by clicking here and discover the behind the scenes on how it all came together here.